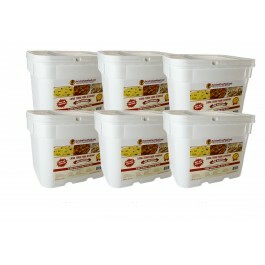 Buy Survival Cave Food 2160 Serving Bucket , from SurvivalCaveFood.com for $2,160.00 only in My e-commerce. Freeze dried food long-run food storage by Survival Cave Food. 2160 serving offers 2,000 calorie consumption every day for One individual for 6 months! 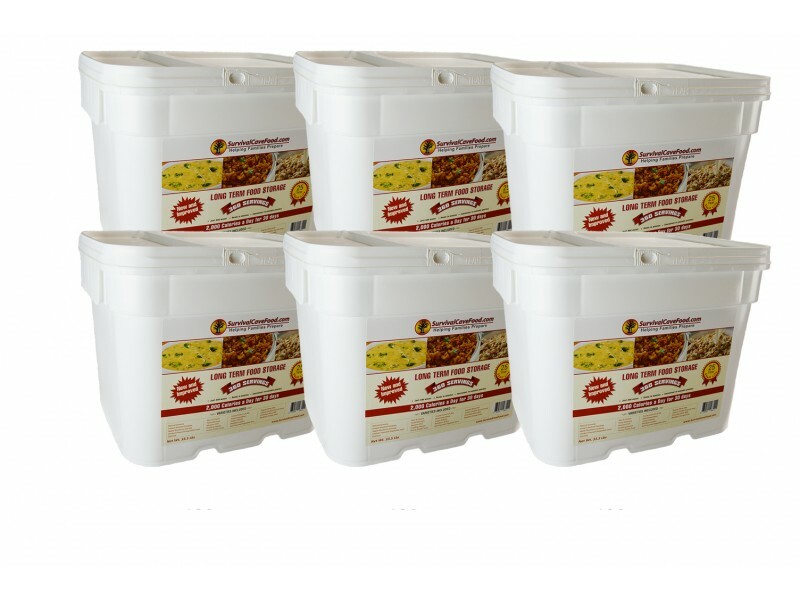 Survivalcavefood freeze dried emergency food storage foods are a fantastic choice for any food storage program! Every meal diversity is supplied in bags that are resealable so you only need to take out the quantity of helpings you want and save the rest for later. Survivalcavefood gives you great tasting meals that are cost effective and healthy for your loved ones, with 1/3 less sodium in each helping than many others. This lightweight freeze dried food comes in conveniently storable containers supplying 2000 calories per day for 180 or 1000 calories each day for 360 days. Each freeze dried meal is packaged to remain fresh for Twenty years. Each pouch of freeze dried emergency food has a re-sealable zip lock that makes it easy to have the portions you would like after which you simply reseal the pouch for future use. Food prices continue to increase without any end in sight and this freeze dried food container will be your solution to protect your family and spend less on emergency food storage. Are you prepared for emergencies? Do you have a good Food Storage Plan? Could there be food shortages that freeze dried food could help with? Have you been paying too much to stock up on emergency foods you know you should have? This lightweight freeze dried food comes in conveniently storable containers supplying 2000 calories per day for 180 or 1000 calories each day for 360 days. Each freeze dried meal is packaged to remain fresh for Twenty years. Each pouch of freeze dried emergency food has a re-sealable zip lock that makes it easy to have the portions you would like after which you simply reseal the pouch for future use.